The Amur Cat and the Prionarilus sp. have been the most often used subspecies of F. bengalensis. Most come from zoos or other captive breeding programs, they are not caught in the wild. 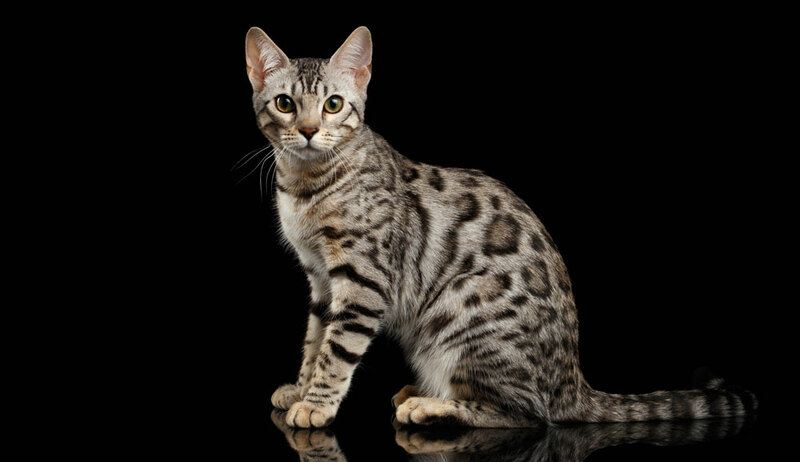 There are some Bengal fanciers today who feel that the Asian leopard cat is no longer needed in breeding programs; others who feel that the continued infusion of new genetic material is beneficial to the breed and should be continued in a responsible manner. The goal of the breeds development should be to, as closely as possible, replicate the conformation and patterns of the wild forest-dwelling cat ancestors, instead of just being another pretty spotted domestic cat. Bengal cats were created by the hybridization of the wild Asian leopard cat (Felis bengalensis, from which the name “Bengal” was taken) with domestic cats to produce a beautiful, exotic-appearing feline with dependable domestic temperament. Because the parents are of two different species, early generation males are sterile. Female hybrids are bred back to domestic males to continue the development of the breed. The Asian leopard cat is a wild, untameable feline found in the forests of southern Asia. It is widely hunted for its fur and body parts which are still used in some traditional native medicines. There are as many as twelve and possibly more subspecies of ALC; not all have been used in Bengal program.